Antifreeze coolant can be confusing to some, what with all those colours on the market, but it obviously plays a very important role in the maintenance of our car engines by removing waste heat. If you’ve been wondering what all those different colours mean, take a look further for an explanation. First, a little bit of history. The chemical ethylene glycol, the primary chemical in antifreeze, was invented in the mid-1800s by a French scientist; however, it wasn’t used among consumers until the early 1900s. Once it was introduced, it became commonplace in the automotive industry for routine car maintenance. Antifreeze is clear when it is manufactured and dye is added to it for easy identification and marketing purposes. Green was the first colour marketed, and can still be found when you’re out shopping. The other popular colours of antifreeze on the market today include green, yellow, blue, pink, orange, red, and clear, among others. The colours may seem endless, but they are different colours for a reason. Each colour represents a different application and the tricky part is, they vary by antifreeze manufacturers. So just because your car has blue antifreeze in it, doesn’t mean you can go buy any brand of blue antifreeze you find and mix them together. If it’s time for you to top up the antifreeze that is currently in your vehicle, you must read the specifications first or find the same colour by the same the manufacturer. If you are going to start using a new antifreeze than the one your vehicle currently takes, you must flush the old antifreeze out completely before replacing it with the new one. What’s the lesson here? 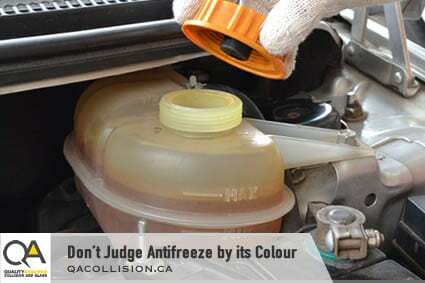 Don’t judge antifreeze by its colour! It can be very damaging to mix incompatible antifreezes. If this happens, you risk causing serious damage to your engine. If, however, you’re looking for a brand new antifreeze, you must carefully read all of the manufacturers labels and use the formulations recommended for your application only. Just how vehicle technology is constantly changing, so is antifreeze technology. Organic Acid Technology (OAT) Antifreeze has been developed as a long-life coolant. It provides amazing protection to your vehicle’s cooling system including materials such as aluminum and magnesium. It’s important for antifreeze not to corrode the aluminum in your vehicle’s engine. Common additives to prevent corrosion are Silicate, Borate, Nitrite, and Anime. With all new technology does come controversy though, and OAT antifreezes have been noted as extremely environmentally unfriendly because of their additives. All those antifreeze colours can be very confusing, but if you ensure you’re using the correct type of antifreeze, you will continue to provide the proper care your vehicle deserves. Quality Assured Collision and Glass will always take the proper precautions when dealing with the antifreeze in your vehicle. 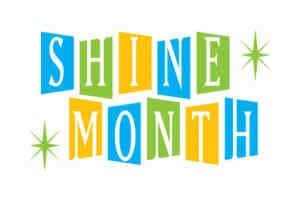 If you need any repair or maintenance work performed, please visit one of our locations today.